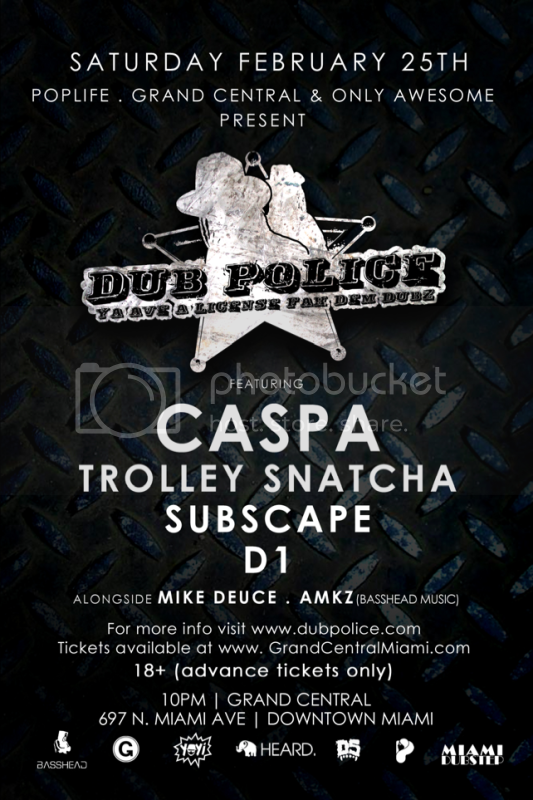 He's joined by labelmates and fellow UK dubstep dons TROLLEY SNATCHA, SUBSCAPE & D1, currently wrecking soundsystems on their big US tour. Check out their newest tunes, and don't miss this once-in-a-lifetime chance to catch this lineup in one venue! Grand Central is located at 697 N Miami Ave in downtown Miami. 18+ to enter with advance tickets. Doors at 10pm. Do your job. If you didn't know, that's Miami's own O'GRIME! Their (free) new album Pearl Necklace is full of hip hop, dubstep, drumstep and a whole lot of swag. 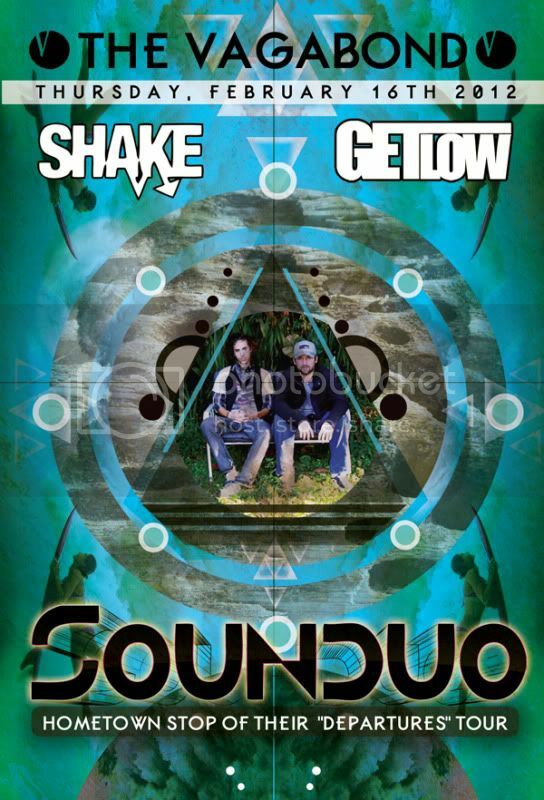 Catch them live at The Vagabond tonight for their release party. 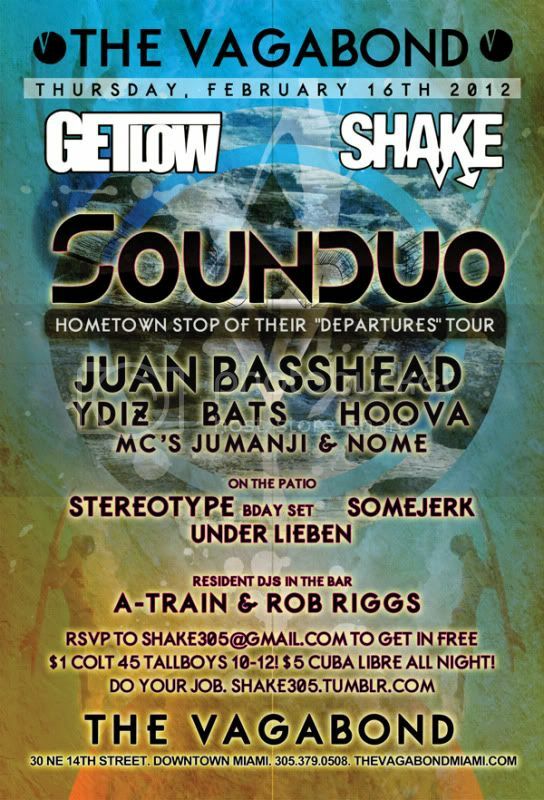 We also have our 5th monthly Moombahton Over Miami tropical bass bash on the patio. Get there from 10-12 for $1 Colt 45 Tallboys to help loosen you up for the bass!